Lid, tool box Ford Type. 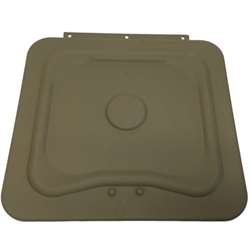 Ford, tool box Lid Assembly, GPW-1146100. These are the best quality on the market today. All details are correct including both F script stamps inside and out. Can be see in photos.